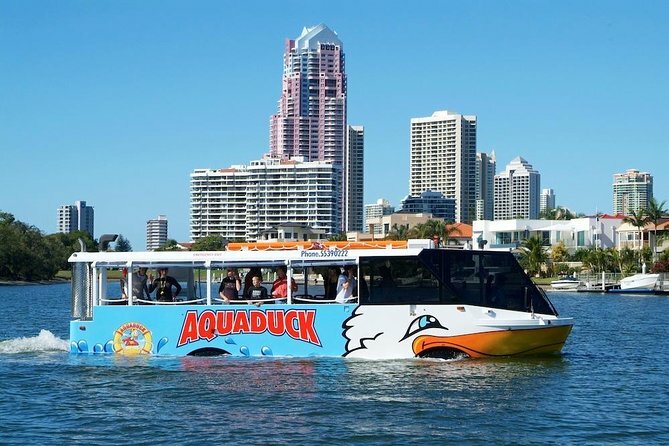 1 hour Aquaduck city and river tour. Departing from the heart of Surfers Paradise, tours aboard the amphibious ‘Aquaduck’ combine an informative city-tour with a unique and exciting river-cruise. Travelling past the glitzy waterfront mansions of the rich and famous and taking in the spectacular views of the Gold Coast waterways and its famous landmarks.